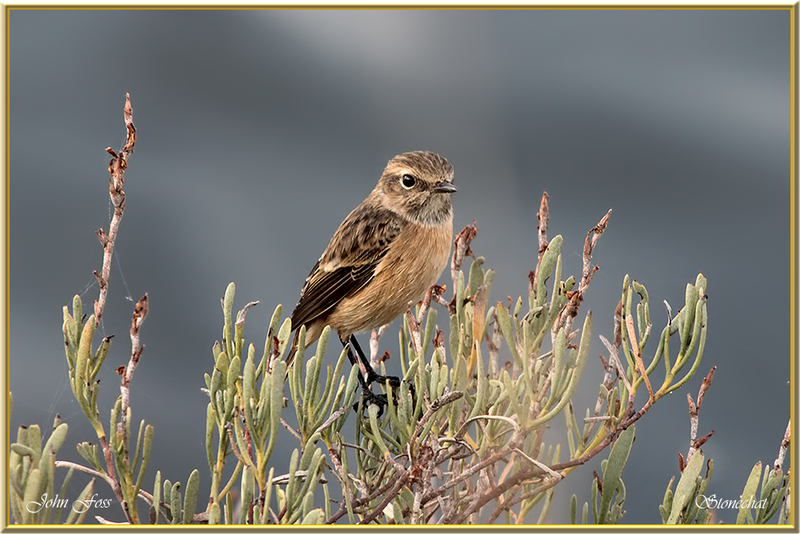 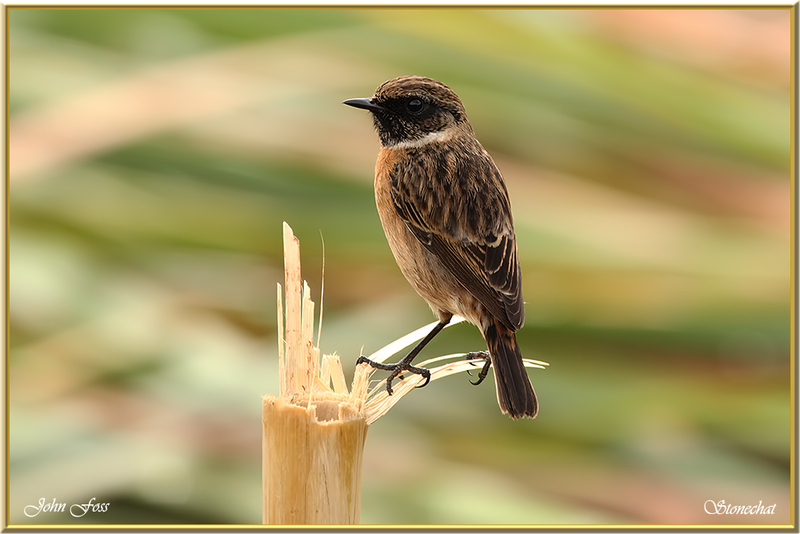 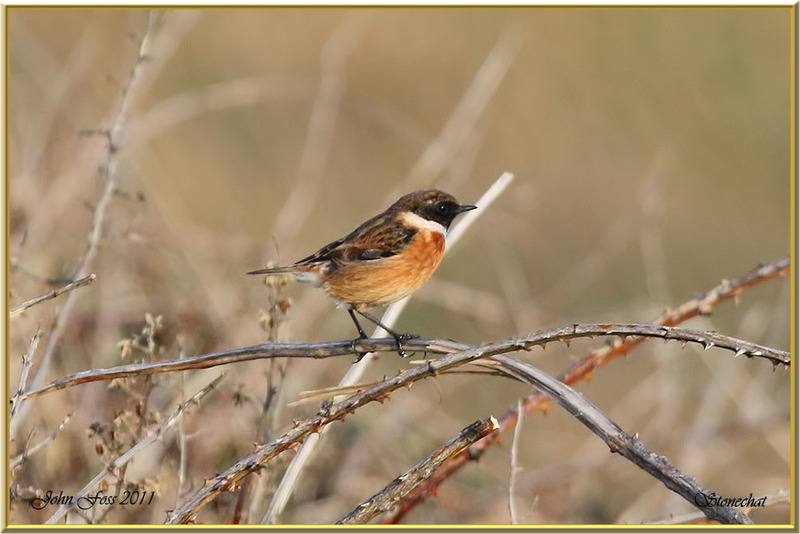 Stonechat - Usually perches up on a stick or shrub. 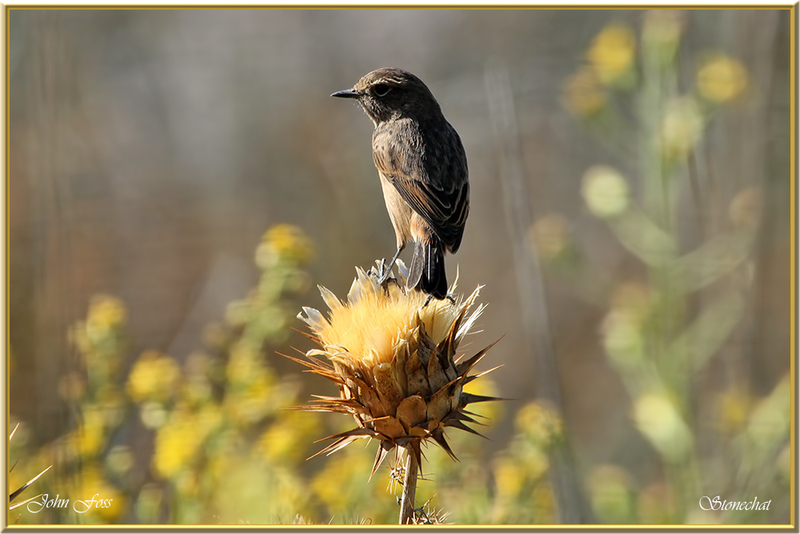 It flies down onto the ground, and often flicks its wings. 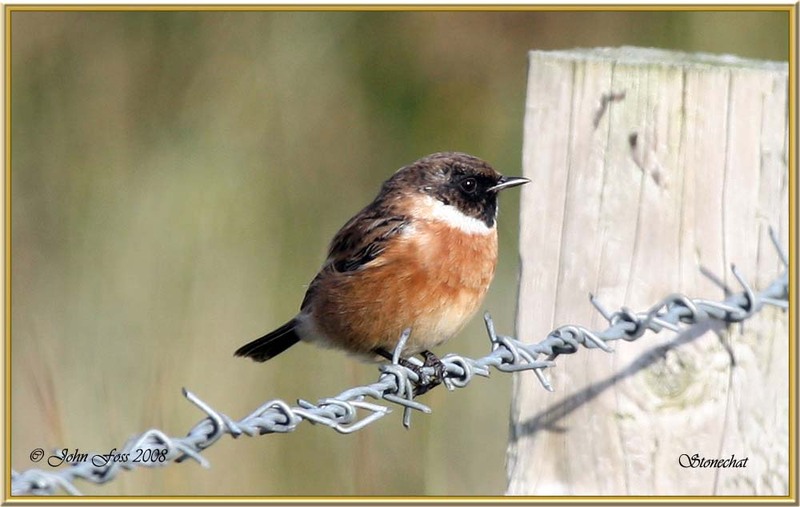 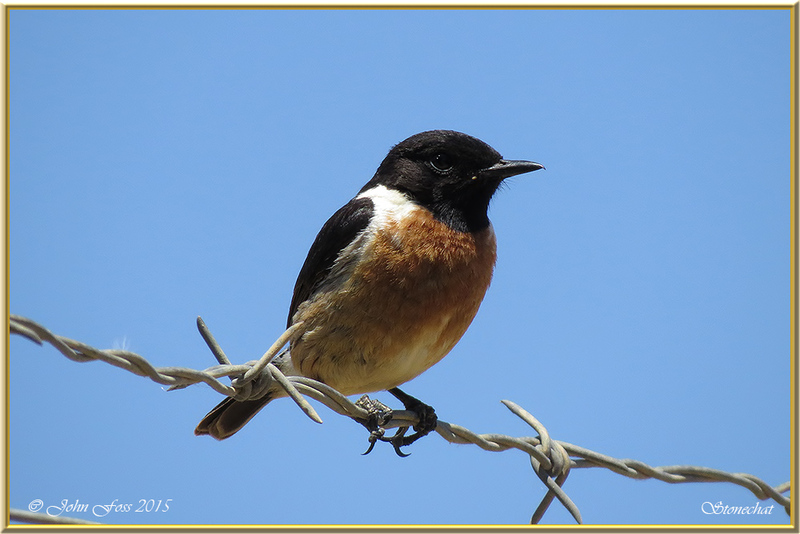 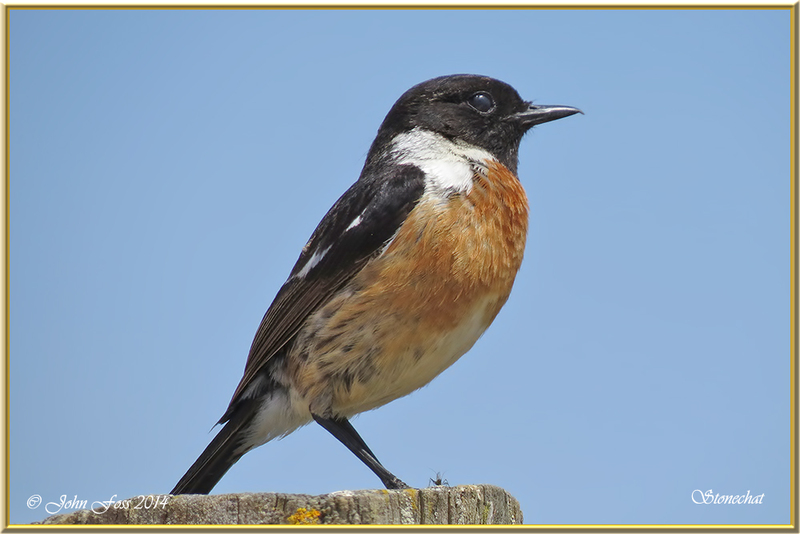 Sadly Stonechats are decreasing in numbers. 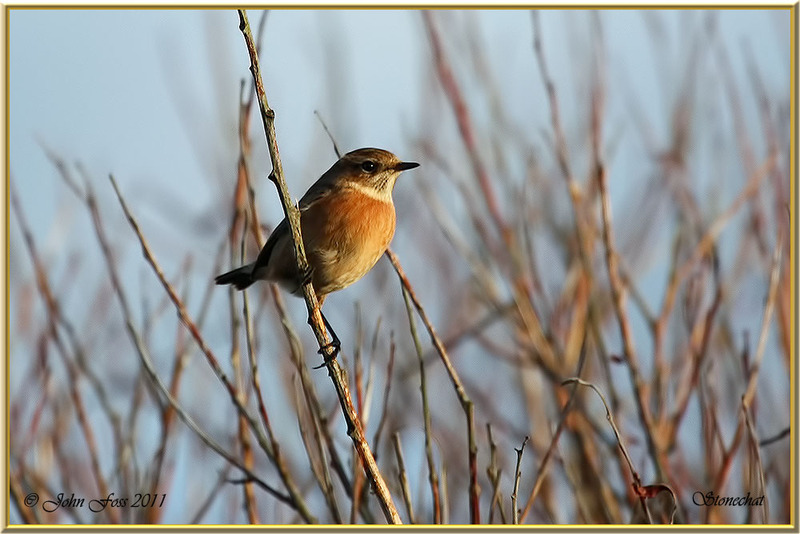 Heavy winters probably taking a few of these lovely little birds in Britain and Ireland. 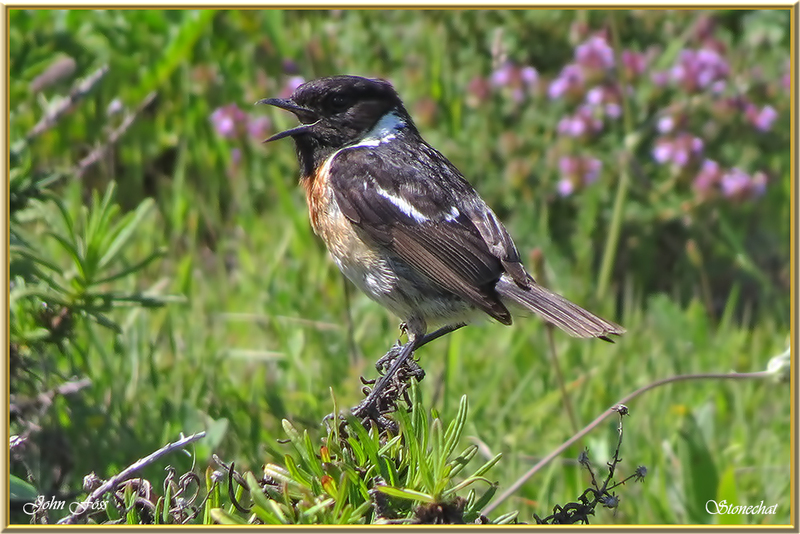 They prefer to be around coastal areas. 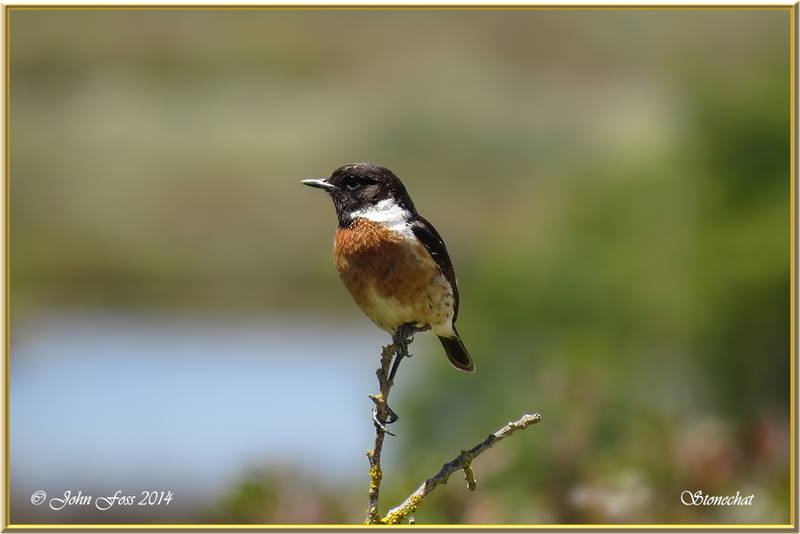 Photographs from Co. Sligo and the Algarve in Portugal.